The tundra wolf is another name for the arctic wolf. Tundra wolves are considered to be a sub-species of the gray wolf. The animal gets its name from its habitat, which covers several regions of the high Arctic. 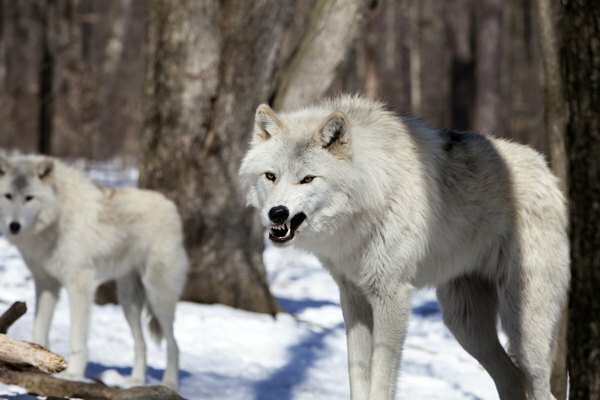 Tundra wolves display several characteristics that distinguish them out from gray and timber wolves and are specially adapted for life in a harsh environment. Tundra wolves are smaller and stockier than gray wolves. They have a thick white coat that turns light brown in summer. 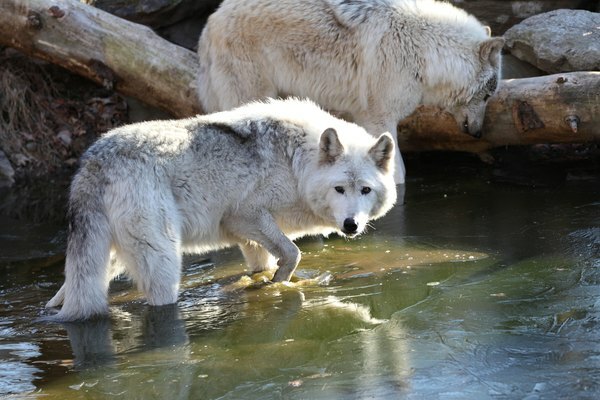 Arctic wolves are well suited to their location. Their white coats act as camouflage against the snowy background. Their shorter ears and blunter snouts mean they lose less heat to the cold air. In the winter they grow a second layer of fur for extra warmth. Tundra wolves also have larger feet than gray wolves. This helps spread their weight evenly while walking on snowy ground. Tundra wolves range across much of the high Arctic--covering areas of Greenland, Alaska and northern Canada. The environment is snow-covered for much of the year with barren polar areas, according to the Encyclopedia Britannica. Permafrost and harsh conditions mean that Arctic wolves do not burrow to create dens. Instead they use caves and rocks for shelter and to give birth to young. The tundra wolf is a pack animal. They exist in well-organized social groups of up to 20 animals. However, because their territories are so vast, they may spend some time spread out from each other. 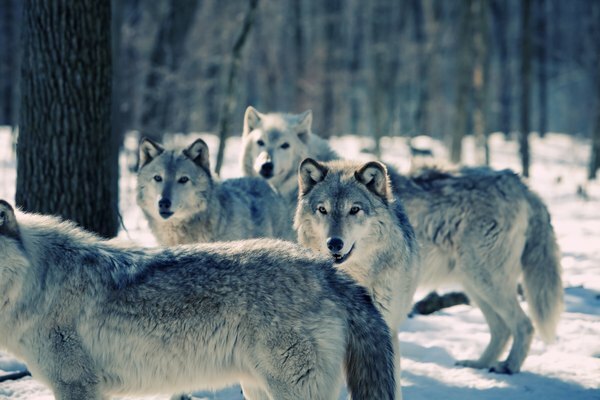 At the top of the social order are the alpha male and female--the only two wolves in a pack allowed to mate. Cubs are reared for up to six months in a sheltered cave. They then stay with the pack for two years before leaving to start their own packs. 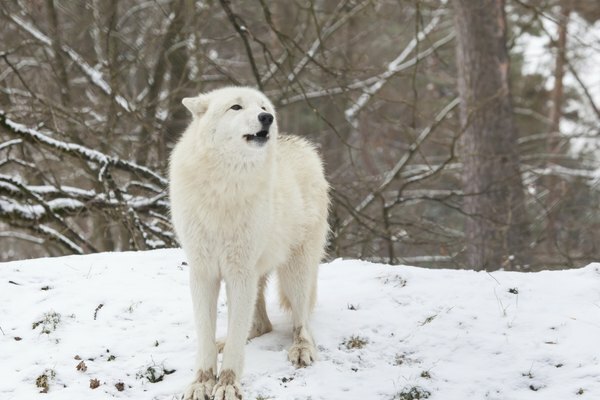 Unlike other wolves, tundra wolves have not developed a fear of humans. This is mainly because there are very few human settlements in their habitat. Tundra wolves have a territory covering over 1,000 square miles, according to the International Wolf Center. This is because prey is scarce. Tundra wolves are carnivorous. The largest animal they target is the musk oxen, followed by the caribou. Smaller prey includes snow goose, ptarmigan, small rodents and arctic hare. The tundra wolf has great stamina and is able to wear large prey down over distance, rather than overcoming with speed and power. Tundra wolves have historically suffered less persecution from humans than other species. However, increasing encroachment from humans for scientific and industrial reasons has brought them into closer contact. 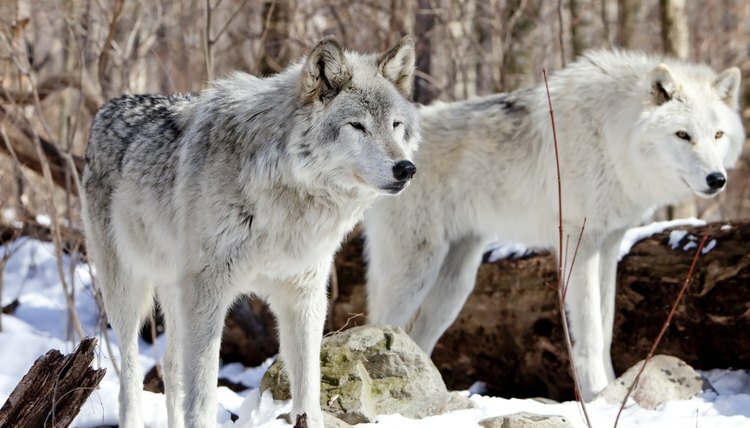 Tundra wolves may be vulnerable to any changes in climate. 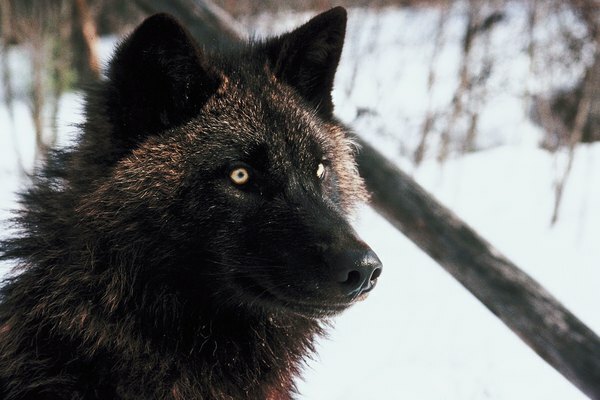 Unseasonal snowfalls can lead to a reduction in hare and muskox numbers, which the wolves depend on for prey, according to a 2004 paper from the U.S. Geological Survey.